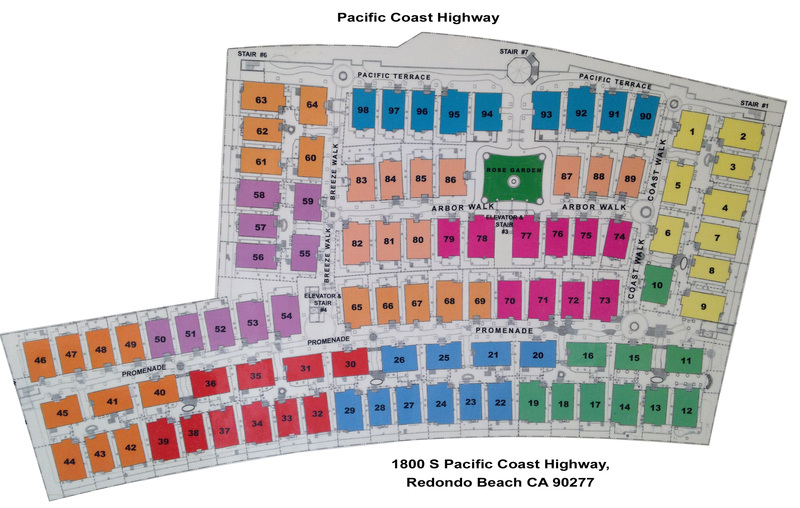 One of the more unique communities in Redondo Beach and the South Bay is located at 1800 S Pacific Coast Highway. It is a relatively new complex with more updated finishes and layouts but what makes it unique is the setting above and what’s below. The community sits above retail and restaurant areas with a huge subterranean parking garage below. The parking is split between guest use and resident use (with the resident parking behind a gate). The main level consists of individual detached homes (technically townhomes) arranged among colorful gardens, brick walkways, gazebos and more. Designed to offer the true community feel of the beach communities of the 40’s and 50’s, each home has a unique look but all share a similar Cape Code styling to give the community a sense of uniformity, while offering a level of individuality not found in most planned unit developments. The complex has 98 homes ranging from 3 bed/3 bath with 1,497 square feet to 4 bed/3 bath homes with 1,836 square feet and many options in between. See the complex map. 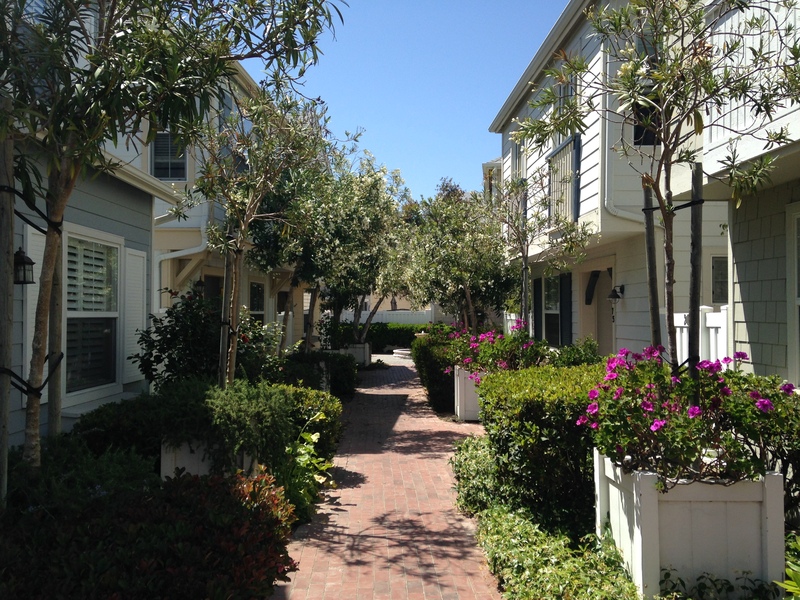 Other than the slightly odd parking situation, which feels more like a condo than townhomes, this is one of my favorite complexes in the South Bay. Residents seem to love the neighborhood feel and location not to far from the ocean and walkable to Riviera Village. As part of Redondo Beach, the residences also attend Redondo Unified School District and offers fantastic and highly ranked schools K-12. Recent prices have ranged from the high $600,000 to the mid $700,000s.